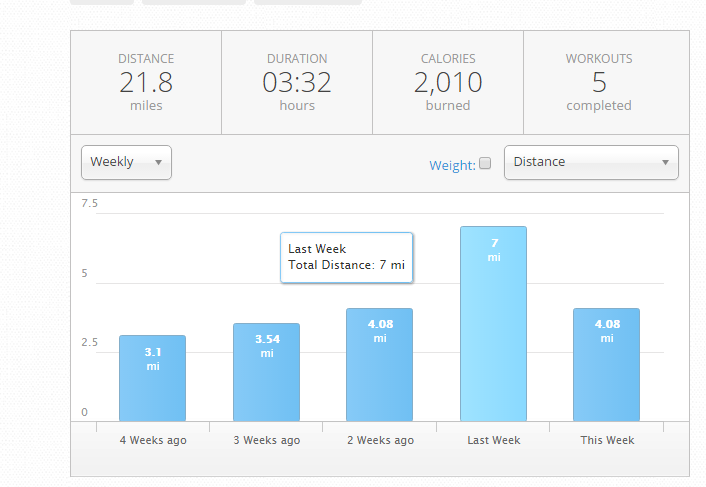 I figured it was about time to do an update on my half marathon training. Until Thursday last week, I was not feeling very confident about our upcoming half marathon. I have not trained as much as I was planning on. I had been hoping to do two 3 mile runs during the week and one long run over the weekend to lead up to a 13 mile long run before the race. Well, life happened. We have been spending a lot of time hiking, camping, wakeboarding, going to baseball games and hanging out with friends. The weather in Seattle has also not been ideal for running outside as we have had 80/90 F days since May with no rain in sight. Also to make matters worse, Mark and I were both hit hard with colds and I have been dealing with fluid in my middle ears which has caused a lot of dizziness and nausea for the past month. I know that I do have a lot of excuses, but hoping for a strong half marathon on 9/12. I completed a 7 mile run last week and ran the entire time. At the end of my run, I still had a lot of energy and felt like I could keep going. Definitely a good sign and shows that all the other cross training that we are doing, has kept me in good shape for this race. Here are my runs for the past month. I know its not what I planned, but we are getting some much cooler air coming into town and hope to do our 10 mile longest training run this weekend. Did you hear the news though that we’re getting rain this weekend, yay!! I can’t wait! I actually hadn’t heard of the Beat the Blerch in Carnation until I read someone’s blog whose coming from Pennsylvania! I know it’s coming up soon, but I’m sure you’ll do a great job! I just hope the weather starts cooperating because this heat has been ridiculous! I’ll look forward to reading your race report! I’m really looking forward to the rain too. Thanks!